It is one of my favorite times of year, apple season. Last Saturday we made our first visit of the season to the apple orchard. We have a quaint orchard that we like to go. We like it because it hasn’t “gone commercial.” The farm is owned by a man who we refer to as “Grandpa” and his son, who has taken over most of the business as years have passed by. When you arrive, you drive back to the apple orchard and check in at the old wooden stand to find out what kind of apples are ready. You follow the signs to the neatly marked rows of beautifully groomed fruit trees. 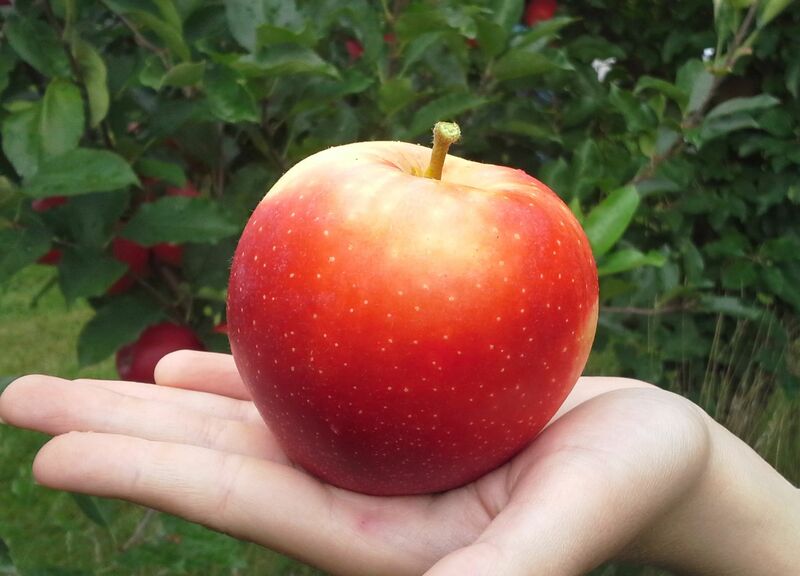 As of Saturday, Honeycrisp, Gala and McIntosh were ripe. 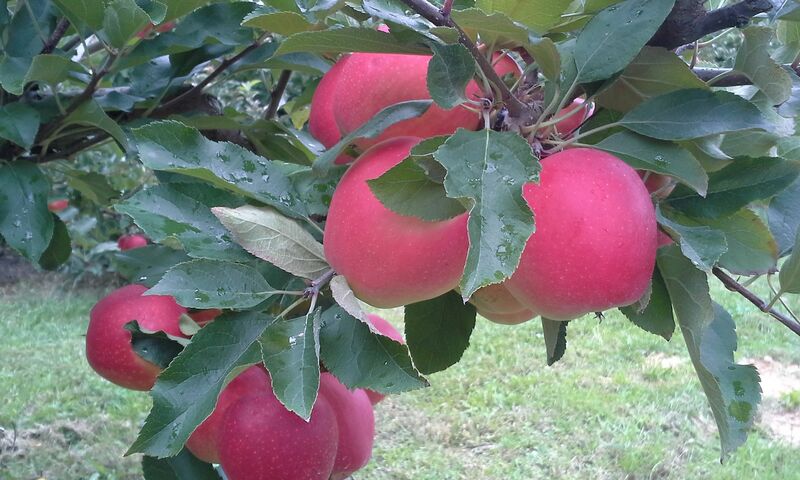 Others still need “a week or so longer to sweeten up.” The apples looked so beautiful hanging from the trees. We picked more than we needed and plan to go back for other varieties. Our family had fun picking and of course eating them! While we were picking, Wendy and I were dreaming up different apple desserts that we could bake. Fresh apples make the best recipes! 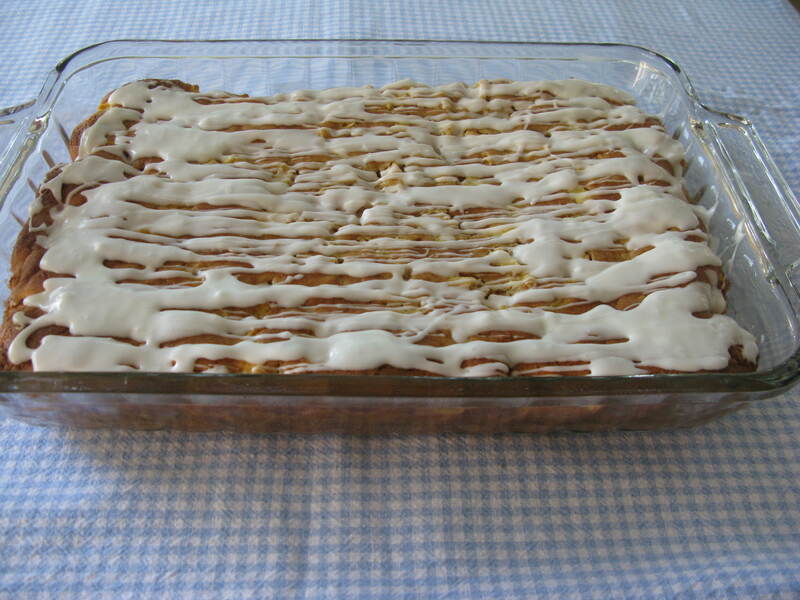 One of the recipes that came to mind was a delicious recipe I received from one of my good friends – Golden Apple Bars. She made this when I was at her house one autumn evening. I liked it so much she sent me home with a plate full of them! I had to ask her for the recipe. I wanted to share it with you, so you can whip up this easy dessert after you make your visit to the apple orchard! Cream butter, eggs and sugar. Add dry ingredients, vanilla and apples. Bake in a greased 9 in. x 13 in. pan at 350 degrees for 30 minutes. Once bars have cooled to warm rather than hot, mix powdered sugar and milk to form a thick frosting. Drizzle on top! Golden Apple Bars are moist and delicious! The touch of frosting drizzled on the top adds an extra hint of sweetness. Enjoy them this fall, with a good friend and a mug of warm apple cider! 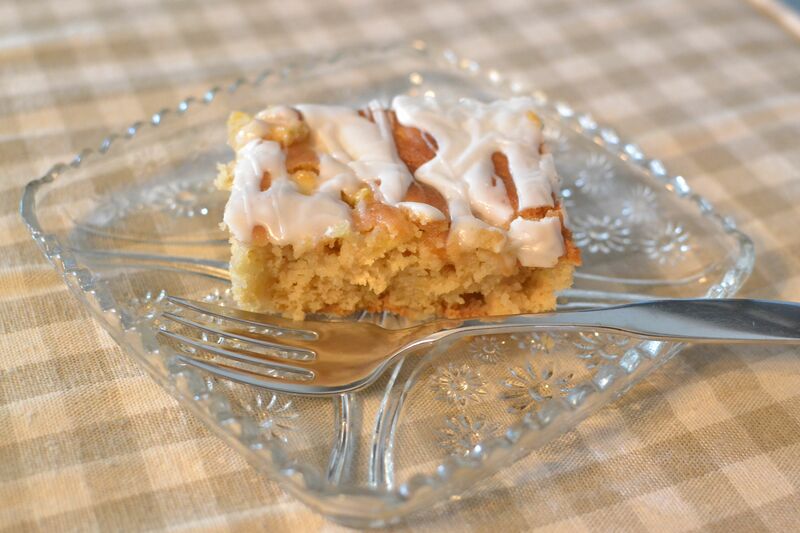 This entry was posted in apples, bonus recipe and tagged apple, apple bars, apple dessert, baking, dessert, Fall dessert, fresh fruit, homemade, scratch cooking by GrandmothersRecipeBox. Bookmark the permalink. These look delicious! I will make sure my wife or sister-in-law makes them soon. I had these and they are delish! A wonderful fall dessert! They are also easy to whip up. I am sure they would be good with cider, but I like them with a tall glass of milk! Glad you liked them, Rebekah!